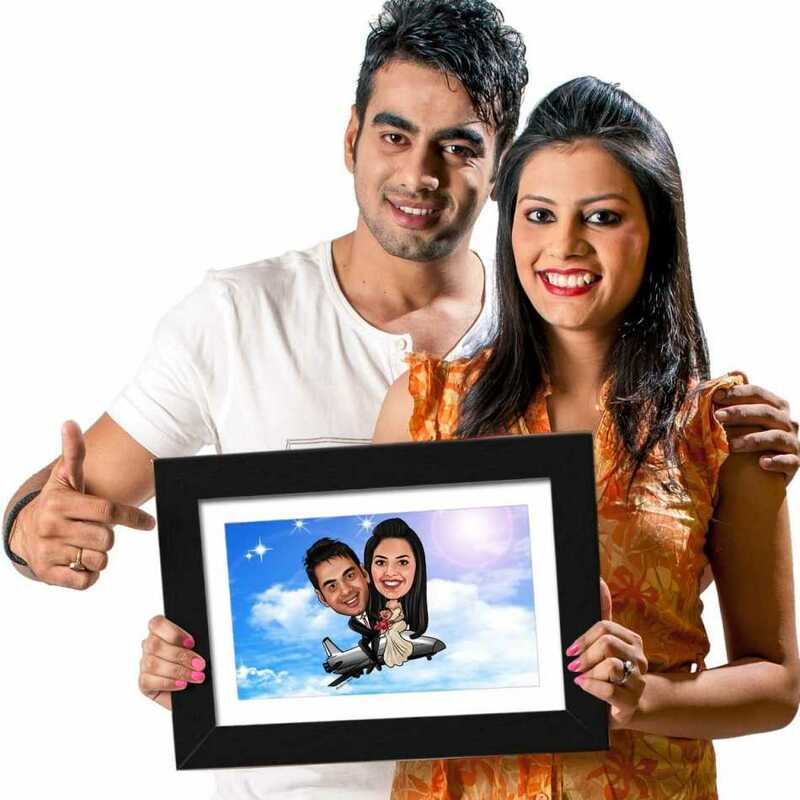 Make your wedding extra special when you gift your wife with this wonderful caricature photo frame. Even with a hilarious picture, you can express your feelings to her and make her feel even more special on that day. 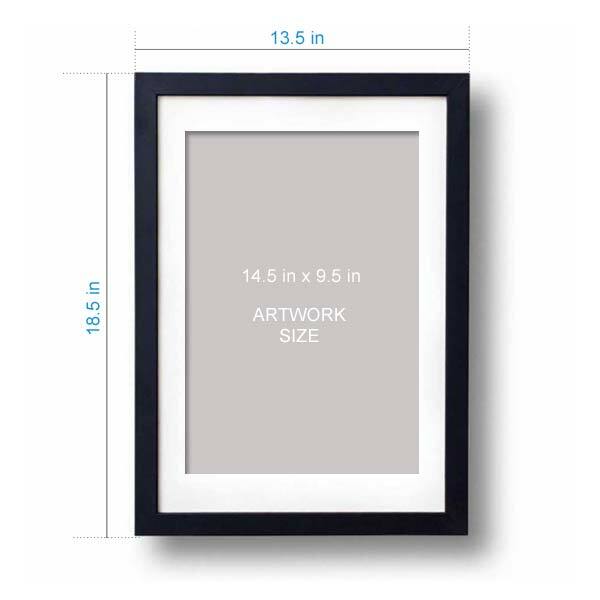 This frame is all about matching your imagination and theme of the background while meeting your soul mate. Flying on the rocket high in the sky with your loving partner is the dream of many, and you can make it by crafting your faces in this caricature. The glowing sunlight and tiny stars make the perfect platform for a romantic date. If you are up for ringing the bells and enjoying your lover۪s birthday or wedding anniversary in a little bit different style, then this caricature is made for you. Give wings to your feelings and let him/her know about it. Allow them to feel special and be a special part of your life. Other than that, you can gift it to your friend on his wedding anniversary. Their faces will cheer up when they see their picture on this funny, yet cute photo frame. Give them something memorable this occasion!